Not every metropolis in the world offers as much for free as New York City. Besides the pleasure of just walking around admiring the great city’s beauty, visitors can take advantage of no-cost excursions to learn about its history, art, and architecture. 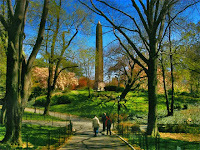 Central Park Conservancy (or CPC), for example, provides daily walking tours of various sections of the immense park. Last Thursday, I enjoyed their one-hour walk through “The Castle and Its Kingdom.” Our guide started out by telling us that the area now known as Central Park was originally a rocky, desolate swamp between 59th and 110th Streets. 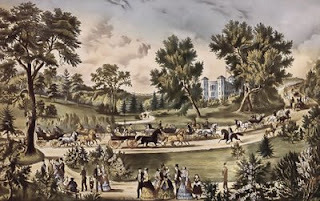 In the mid-nineteenth century Frederick Law Olmsted and Calvert Vaux won a design competition to develop the 843-acre expanse into a public park. These two men, architects and landscape designers, wanted a space for citizens and visitors to experience the wonders of nature. 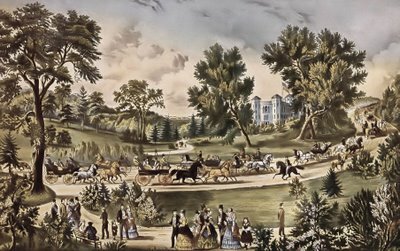 Since its opening in 1857, however, the park had fallen onto hard times and by the nineteen-seventies had become a decrepit and dangerous place to be. 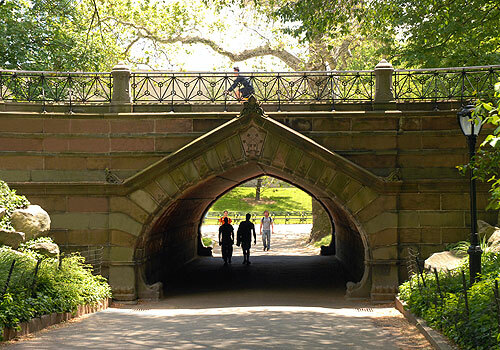 In 1980, a group of civic-minded individuals formed the Conservancy and have been upgrading and maintaining the park’s buildings, lawns, and plants ever since. None of the current amusement features, such as the Shakespeare in the Park at the Delacorte Theatre, skating on the ice rinks, or riding the Carousel, were included in the architectural plans. 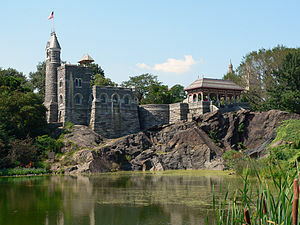 Olmsted and Vaux, working with another architect named Jacob Mould, did provide for a so-called “Victorian folly,” a decorative element popular at the time, here in the form of Belvedere Castle. Made of Manhattan schist, the rock which underlies most of the island, the Norman-style fortress was initially designed to have two towers, but its creators settled for one when the project ran low on funds. The castle, which now serves as the park’s Visitors’ Center, is located high up on Vista Rock and offers nice views of much of the mid-park area. To the north, one can see the man-made Turtle Pond, at one time part of the Croton Reservoir, the former supplier of water to the city. Beyond the pond is the Great Lawn which was created by filling in sections of the reservoir. The lawn contains several ball fields, which can be reserved by local teams, and is also used for cross-country skiing in the winter and annual summer concerts (from symphonies to opera to rock--some of them free as well). 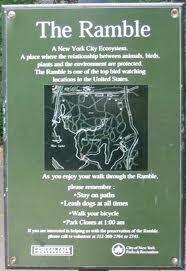 On the south side of the castle is the Ramble, a wild, wooded space on thirty plus acres. The weather from Central Park used to come directly from Belvedere Castle, but now has a sizeable, modernized facility inside the Ramble. There were some interesting stone structures on our tour. Of over thirty bridges and arches in Central Park, we saw the lovely Greywacke Arch. Its strange name comes from one of the three stones Jacob Mould used to build it. According to our guide, Mould's interest in Moorish architecture led to the creation of this archway. Not only is it pretty from the exterior, but the underside is stunning in red brick with light-colored crosses. 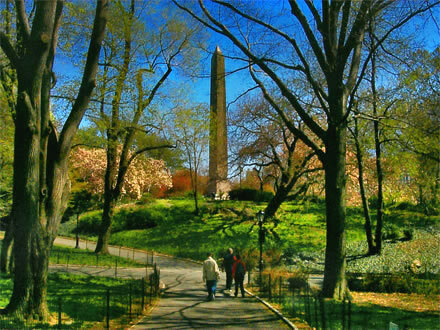 The oldest element in the park by far is the 3500-year-old Egyptian obelisk, called Cleopatra's Needle. 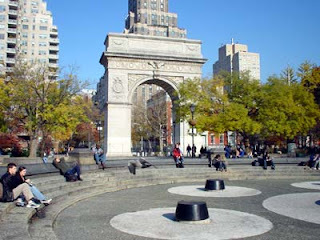 Just transporting it to New York proved to be a big problem; William Vanderbilt came up with the idea of cutting a hole in the side of a ship and patching it back up once the 22-ton obelisk was inside. 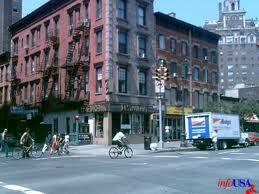 It then took another 4 months in 1881 to get it from the port on 96th street to its current location. The structure sits on a base supported by bronze crabs. We really learned a lot on our free tour; I encourage you to see for yourself. 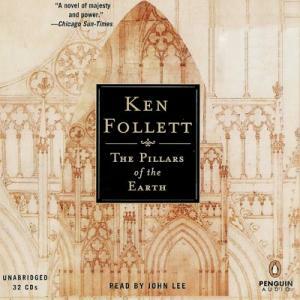 Ken Follett’s The Pillars of the Earth, about the building of a 12th century cathedral in a fictional English town, is an engaging read. While its style is sometimes strained (you can practically hear the author thinking about how to insert facts on the Middle Ages into the text), the novel sticks with you. In my case at least, the book had me examining the architecture of churches and older buildings in our area and got me reminiscing about the history of French Gothic cathedrals I’ve seen. The word “gothic” itself, as you probably know, was originally a derogatory term used by people of the Renaissance (15th century Italians and 16th century Frenchmen) who considered the architecture of the medieval cathedrals as barbaric as the Goths. The main innovator in the revolutionary 12th century shift from the bulky, dark, rounded-arch style called Romanesque to a new design he referred to as “modern” was l’Abbé Suger. In 1137 the abbot, a counselor to Louis VI and Louis VII, decided to rebuild the Basilica of Saint-Denis, the official church of the French king, located about 6 miles north of the center of modern-day Paris. Because Suger believed that light symbolized the divine, he wanted the new building to be “a crown of light” which would express the grandeur of God. To this end, the basilica would have high ceilings, created through the use of diagonal ribbed (or ogival) vaults with two intersecting pointed arches. Used previously in Islamic architecture in the Near East, these architectural innovations paved the way for high, gravity-defying walls by directing the weight to clustered columns. Flying buttresses, pillars of stone on the outside of the building, provided extra support to carry the weight of the walls and roof; these structures also allowed for more height and for the development of stained glass windows. 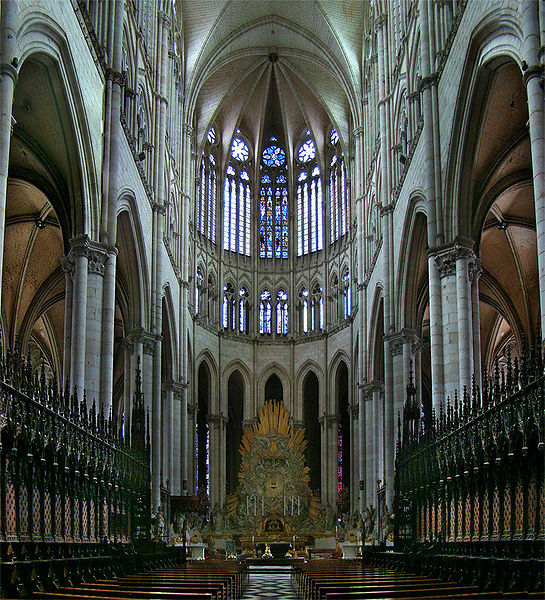 Completed in 1144, Saint-Denis became the prototype for Gothic building in northern France. It is hard to imagine how difficult it must have been for craftsmen of the era to cut through solid limestone, forming up to three-ton blocks of stone, and transporting them to the construction site and up to the height required by using equipment like the treadwheel crane or “squirrel cage.” Another early example of French Gothic cathedrals is Notre-Dame de Paris (begun 1163). This building also used flying buttresses to relieve wall thrust and resolve stress fractures, and its imposing western façade suggests the majesty and might of God. The “new” Cathedral of Chartres (constructed from 1194 to 1260) was one of the first examples of the style known as “high Gothic.” In fact, Chartres is held to be the crown jewel of Gothic architecture. Its high clerestory windows, which allowed a more spacious, heightened effect, were to become standard in later churches of this style. 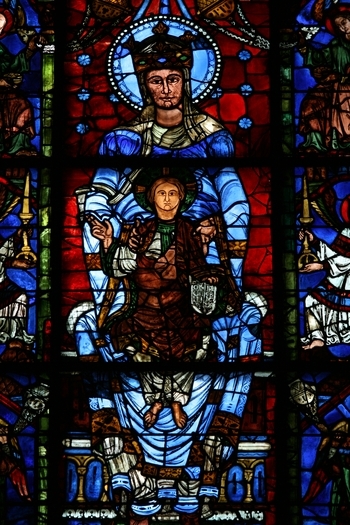 Its world-famous stained glass windows, which depict narratives from the Bible, provide a kaleidoscope of colors; the blue of Chartres's stained glass windows has never been duplicated. As was the case for many French cathedrals, the windows were carefully removed during wartime and were safely stored away in mines or in the countryside. The cathedral itself was spared shelling by American troops during World War II when a certain Colonel Griffith questioned the strategy of attacking the church on the assumption that German soldiers were hiding inside its tower. 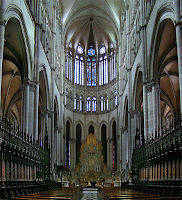 The Gothic Rayonnant period (which began in the early 13th century), with its more elevated interior, more slender columns, and enormous rose windows, has several stunning examples. Started in 1220, Amiens, in the northern region of Picardie, was built so tall that a special wrought iron bar chain was installed in 1497 (while the iron was red hot) to hold the structure together. Unfortunately, while being stored during World War I, nearly all of the church’s stained glass windows were destroyed. Still, it is a very impressive place to visit. Another cathedral in this style is Beauvais, which I’ve yet to see. This church was never completed because parts of it collapsed on two separate occasions; some have suggested that the height of the cathedral combined with its proximity to the high winds of the English Channel have caused its instability. 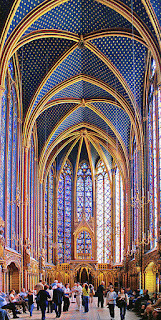 Perhaps the most beautiful of all Rayonnant houses of worship is Sainte-Chapelle. The small palace chapel on Île-de-la-Cité in Paris, was built by Louis IX and was consecrated in 1248. On a sunny day its immense stained glass windows illuminate the interior, giving the impression of heaven on earth. 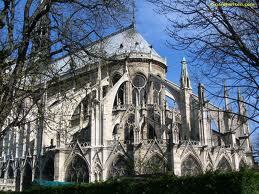 Visits to the great cathedrals of France (and other European countries) are truly awe-inspiring experiences. 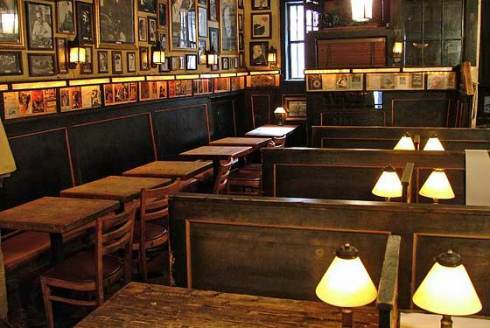 There is so much to contemplate: from the wondrous architecture to the beauty and symbolism of its ornamentation--stained glass windows, paintings, and statues. Even if you can't be there in person it might be interesting to see the Nova series on the building of the Gothic cathedrals. The proliferation of diverse ethnic restaurants in this country over the past few decades is nothing short of amazing. 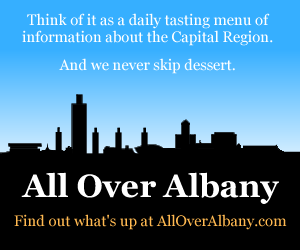 In the Capital Region, but also in our hometowns, we’ve noticed a drastic change in the dining landscape since we were young. When we first moved to Albany, in fact, it was hard to find anything but Italian food if we wanted to go out for supper. Now, choices include Thai, Indian, Greek, Mexican, Lebanese, Afghan…you name it. In recent months I’ve enjoyed delicious meals at two nearby establishments, interestingly both run by female chefs. 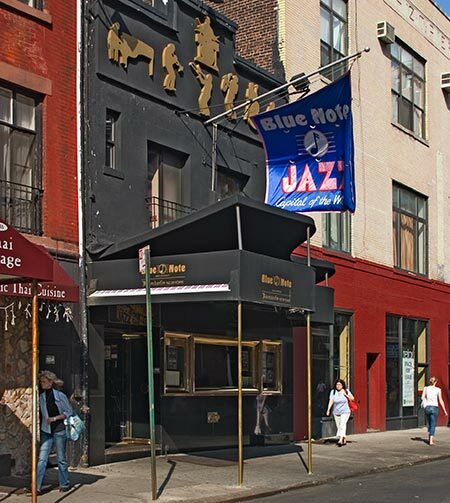 The first, Saigon Spring, is related to one of our longtime loves: Van’s Vietnamese Restaurant on Central Avenue in Albany. Apparently, Cathy Tran, Van’s mother, decided to set up her own place in the unassuming strip mall of St. John’s Plaza in Halfmoon, just across the Mohawk River near Clifton Park. Considered one of the ten healthiest ethnic cuisines, Vietnamese food seemingly stems from Chinese and colonial French sources; it is generally high in vegetables and herbs and low in fat. 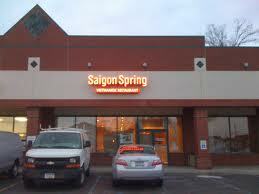 The offerings at Saigon Spring are extensive without being overwhelming. On our recent visit we started out with delicious, crunchy pork summer rolls that come with fish sauce. As for a main dish, it’s always hard for me to resist the traditional, delicious soup called Pho, pronounced fuh which probably derives from France’s pot-au-feu. 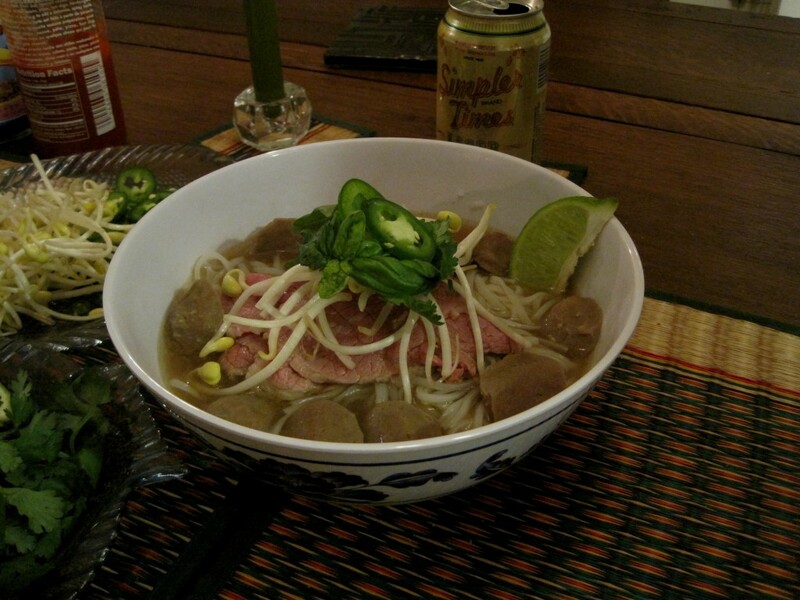 I agree with an article by Andrea Nguyen that Pho is “heaven in a bowl." If you’re unfamiliar with it, the fragrant broth contains slices of beef [Pho Bo] (meatballs, chicken, or seafood) with rice noodles, and scallions, to which you add bean sprouts, sliced fresh jalapeños, lime juice, and Thai basil or cilantro to taste. It is also served with small bowls of hoisin and chile sauce (often Sriracha) on the side. The bun selections at Saigon Spring are also fantastic. Here grilled pork, chicken, beef, or shrimp is served over rice noodles. Simply writing about these dishes makes my mouth water! Prices are quite reasonable and they also have interesting sounding milkshakes (like avocado or mango), beer, cocktails, and wine. Just this week at noon, some friends and I went to a reincarnation of a former Albany favorite of ours, Avenue A. 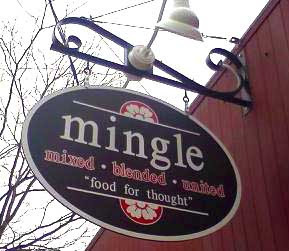 Back in its last location on Delaware Avenue, the restaurant is now called Mingle. Chef Un-Hui Filomeno has indeed “mingled” a variety of cuisines in an unusual, wonderful way. The dinner menu contains classic Caesar salad, Cioppino, and Mediterranean Paella, as well as diverse items like Portuguese clams, and Jambalaya. The chef also includes several tasty dishes from her homeland: Korean Bulgokee, Chap Chae, Bibimbap, and, my luncheon choice, Kimchi Jigae. Let me start out by saying that I’m not in love with tofu; in fact, I tend to shun it as a rule. 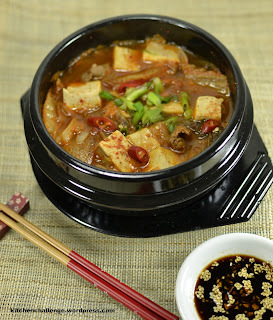 But I was curious to see what the cook could do by combining it with kimchi. I really loved the spicy cabbage mixed with the piquant chile paste gochujang. It’s one of the few ways to serve tofu as far as I’m concerned. Even if you don't live in our area, I'll bet if you looked around you'd find a Vietnamese or Korean restaurant not too far away. Give it a try!